Canon Paul Moore Willoughby, Rector of Kilmocomogue (Bantry and Durrus, County Cork), has been appointed by the Right Reverend Dr Paul Colton, as representative Canon of the United Dioceses of Cork, Cloyne and Ross on the Chapter of the Collegiate and Cathedral Church of St. Patrick, Dublin. St Patrick’s Cathedral is the National Cathedral of the Church of Ireland. Each Diocese has a representative canon on the Chapter, and also a stall for each bishop of the Church of Ireland. Canon Willoughby will be Prebendary of Tymothan, the stall held by Canon David Williams (Rector of Kinsale) from 1997 until his retirement in June. Canon Willoughby served as a curate in Glenageary Parish in Dublin, as well as in the parishes associated with St Patrick’s Cathedral, before becoming rector of Booterstown, also in Dublin. In 1994 he was appointed Rector of Kilmocomogue Union of parishes in West Cork. In 2000 he was appointed a Canon in both St Fin Barre’s Cathedral, Cork and in St Fachtna’s Cathedral, Rosscarbery. The representative Canon from these Dioceses in the National Cathedral also holds the dignity of Treasurer in the Cathedral Chapter of St Fin Barre, Cork and the Prebendal stall of Cahirlag. 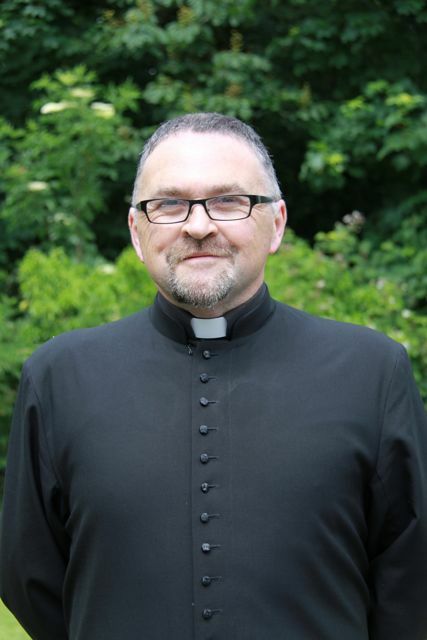 Arising from this appointment, Canon Willoughby vacates those prebendal stalls he currently holds in St Fin Barre’s Cathedral, Cork (Dromdaleague and Kilnaglory), and in St Fachtna’s Cathedral, Rosscarbery (prebendal stall of The Island – Inchydoney). A new appointment to fill these vacancies will be made by Bishop Colton later in the year. This entry was posted in Appointments, Cathedral, Church of Ireland, Diocese. Bookmark the permalink.